Can you fall in love with work? Before answering this question I need to take a look at how we measure the relationship between employees and employers. Lots of you reading this will have filled out employee engagement questionnaires at work. Organisations use them to identify issues within the workplace and to help attract new recruits. For example in the UK organisations strive to get Investors in People status or break into the Sunday Times 100 Best Companies to work for. In order to do this an organisation needs to show an evidence base to demonstrate that employment is not just a financial arrangement between the organisation and the employee, but is also about meaning and fun. Basic Needs – Are my basic needs met in the workplace? Do I have the right tools? Teamwork – Do we work well as a team? Growth – Do I have the opportunity for career and personal development in my organisation? Valued – Do I feel valued as a human being? Am I supported and receive a fair salary? Vision and values – Am I clear on the vision and values of the organisation and how I fit in? Likeability – Do I like my colleagues? Do I like the organisation? Gallup has run its survey over 5 million times and their internal data (unverified by third parties) suggests a strong link between positive responses to questions similar to those listed above and the financial performance of the organisation. What are the pitfalls of these surveys? The surveys are often filled in at work with your boss breathing down your neck. They use a snapshot approach to ask employees how they “think” about their organisation, rather than how they feel. Tony Graham is the former HRD of Scottish & Newcastle. According to Graham, not only are most engagement models passive (asking, for example, what managers did for the employee six months ago), but they seek to capture what people ‘think’, which is meaningless if it does not correlate with what they ‘do’. So what is employee engagement? When you look up the definition of engagement you get marriage. So it’s a bit like a marriage or at least you’re dating. When you look at the survey questions noted above they seem quite consistent with the kind of questions you might ask about a relationship with a person ……or maybe you should be asking. Are my basic needs met? Do we work well as a team? Do I have the opportunity to grow as a person? Do I feel valued? Am I supported? Am I clear on your vision and values? How do I fit in? Do you like me? Do I like you? Everyone reading this article is now asking these questions about their loved ones. 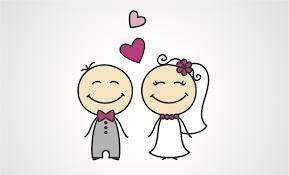 But the big, obvious, difference between marriage and the relationship you have with your employer relates to motivation by love or money. In reality there may be little difference between the two. 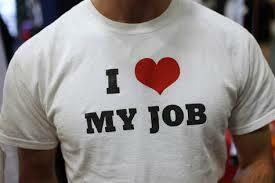 Love – Some lucky people love their place of work and career. Most kind of like it but there are shades of grey from loving to liking to loathing. Hopefully you love the person you are married to. Money – some people get paid to do the job they love, some people get paid to do the job they loathe. In some relationships there is an understanding that one person will provide financially. So in the truth the relationship you have with your partner is similar in many respects to the relationship you have with a company. In both a marriage and an arrangement with a company there are accommodations and understandings that you come to over time. It’s complicated. Initially you might be at a company for the money and career opportunities but over time you grow to love your colleagues, enjoy your routines and get pleasure from mentoring new people in the organisation. 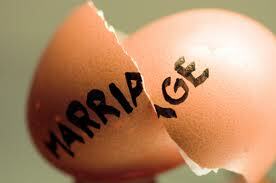 Marriages can go through stages from passion to gentle understanding (or simmering hatred and divorce). It’s often the same with the relationship you have with a company; from high energy excitement, a voyage into the unknown, through to gentle acceptance of your place… or alternatively; bitterness, rivalry, jealousy and separation. So answers to the employee engagement questions are strongly influenced by the length of your relationship. Like a marriage the complexity of a relationship between an employee and a company is very hard to narrow down to just a few generic questions. How long does that person or organisation keep your attention and energy levels high? Perhaps as long as you get some meaning or fun, stimulation or opportunities for growth from it. Being in love or engaged with your partner/organisation is often not a matter of the head but rather of the heart and the guts. The questions business psychologists and HR departments are using to measure engagement may describe how we think, but not how we feel. They miss the mind /body connection. Although I am not aware of any research to date, I expect organisations that score very highly on each of the Gallup questions would have fitter and healthier people working for them. Thinking positively about your work, colleagues and routines is likely to have a positive effect on the body. The problem with current surveys is that they tend to encourage people to answer how they expect they ‘should’ think about something. Questions and answers can be contrived and stilted. The questions might not be relevant to the needs of the organisation or the employee. By asking questions about feelings, pain, energy levels and so on, we tap into a whole new area in the workplace. One that acknowledges the whole human experience of wellbeing in the workplace. We may be measuring engagement from the other side of the coin to existing studies, but interpretation of more contextually relevant information can throw up solutions which may be of great benefit to the individual and organisation. So how can we measure feelings? One possible way is to use an online tool for measuring emotional intelligence. If you want to do this just click on the link below. We are able to give feedback on your ability to recognise, use, understand and manage your emotions. We also ask you to fill out an online strengths assessment. This ranks (from high to low) your top 24 character strengths. Finally we ask you to provide a description of one major blockage to your engagement at work. Using this information we provide two 60 minute feedback session on Emotional Intelligence at work and develop actions to use your strengths to overcome the challenges you face. Follow this link to view our workplace coaching package.